Why choose Anne Goodman to help you make the changes you want? Wondering which therapy and which Counsellor is right for you? Find out why Anne Goodman, at Empowered Choices, is a highly referred Counsellor in Victoria, BC. Make your changes in her office, or online from your home with e-counselling (e-therapy). Why Anne Goodman for in counselling? Results, compassion and fun. I have been practicing as an NLP Master, EFT Practitioner, and Hypnotherapist since 1998 in Victoria, BC. I specialize in working with people who have had painful or traumatic experiences in the past that are currently limiting them in some way or affecting their ability to live their life to its fullest. I have had tremendous success in helping clients resolve issues such as eating disorders, unwanted habits, phobias, repeated unsuccessful choices, relationship troubles, anger, hurt, grief, fear, and many other limiting emotions. I am honoured to assist people through the healing process, one that results in empowered choices and a greater freedom to gain self-acceptance and self-love. As a therapist, my intention is to assist you to experience more of your true potential and live a more fulfilling life. 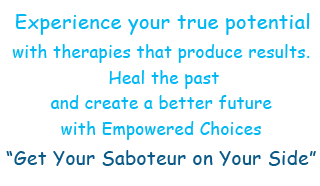 Through the use of various "fast therapies", including Neuro Linguistic Programming(NLP), Time Line Therapy™(TLT), Emotional Freedom Techniques(EFT), and Hypnotherapy, I will teach you how to easily and gracefully let go of unwanted negative emotions, beliefs, phobias and habits that limit your choices and ability to live your life to its fullest. I am a Master of Neuro Linguistic Programming, a Time Line Therapy™ Practitioner, and I have a diploma in Hypnotherapy; all received in 1998 from Progressive Edge Plus in Victoria, BC. In 2002, I trained in Emotional Freedom Techniques, and in 2003 attended a workshop with Gary Craig on how to use EFT for serious illness. In April 2008, I trained in using Hypnosis for Past Life Regression with Mary Lee LeBay. 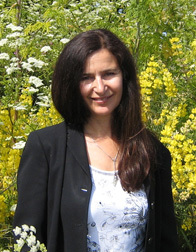 I have been practicing as a counsellor/therapist in Victoria since 1998. 2012 Mind Bending Language Hypnosis, 2014 Conversational Hypnosis, 2015 Hypnotic Ericksonian Storytelling (all with Igor Ledochowski), and regular ongoing conventions, seminars, and digital trainings in Hypnosis, NLP and EFT. For Anne’s full biography, please click here.